The Iustinius Primus Faculty of Law was established in 1951, as part of the Legal-Economic Faculty of the University of Skopje. Since 1956, the Faculty has operated as the first, independent higher education institution in the area of legal studies in Macedonia. The Iustinius Primus Faculty of Law in Skopje offers three separate study programmes: legal, political and journalism. The programme for legal studies is based on learning a wide range of legal disciplines from a philosophical, economical, sociological and practical aspect. The Faculty has signed over 70 bilateral cooperation agreements as well as agreements with many institutions and private companies in Macedonia, with the purpose of supplying wider possibilities of attaining practical knowledge and know-how to students. Gordana Bužarovska is working at the Faculty as full time professor, teaching criminal procedure law, criminology and juvenile justice. She had been Vice-dean between 2008 and 2015. Ms. Bužarovska is co-author of several university textbooks, monograph, booklets, manuals for judges, prosecutors and defence lawyers, as well as of compendium of international and domestic instrument regarding mediation and juvenile justice. She is author and co-author of nearly one hundred articles within her field of research in domestic and international journals. She has taken part in almost 30 scientific projects in the country and several implemented abroad. 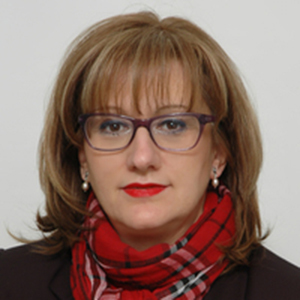 She is a member of Editorial Board at Macedonian Association for Criminal Law and Criminology, European Society of Criminology, Management Board of SEELS and Management Board of FOSM.